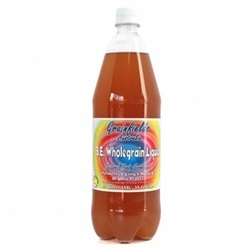 Grainfields is a refreshing, effervescent liquid, an active source of friendly lactobacillus bacteria, a natural source of vitamins, minerals, amino acids and enzymes. B.E. Wholegrain Liquid is a high quality probiotic liquid, produced through an entirely natural, organic fermentation process. B.E. Wholegrain Liquid is formulated to achieve high, active levels of probiotic bacteria sustained in a ready, liquid medium immediately available for use within the digestive system. Best stored in a cool dry place out of direct sun. Refrigerate after opening. Release cap slowly.